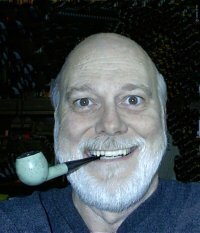 Ramble House is releasing a book it published back in 2005, this time with an introduction and index to make it handier for anyone interested in serial murder. The book, RIPPED FROM THE HEADLINES, is a collection of newspaper articles from the London Times and the New York Times between 1888-1895 dealing with the Jack the Ripper murders of Whitechapel and it now has an excellent introduction by Ripperologist Don Souden. It also has an index of all of the last names that appear in the articles for easier reference for Rippernuts the world over. The first edition had a flaky introduction by Norbert Tudwallow that seemed to celebrate his lack of knowledge about all things Ripperian. This new edition is much better. The articles are interesting reading even for general readers because they allow you to compare the journalistic styles of the two newspapers. It's also fun to compare the journalistic styles of the late 19th century and today's. In the 1880s it was apparently important that the height of all of the people concerned be known. And often only the last names of the people were given. Go figure. 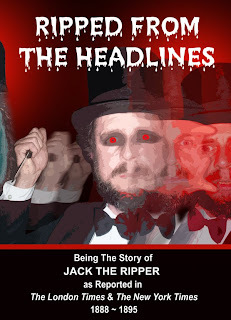 There are dozens of books written about Jack the Ripper and some even claim to reveal the identity of the fiend but this is one that sticks to the facts -- as they came into common knowledge. The articles are arranged in chronological order and it's almost like being there, living in a rat-infested hovel in the cobblestoned lanes of Whitechapel, and buying each day's Times with a feeling of impending dread and doom. The cover, showing an obvious crazed slasher who looks suspiciously like Gavin O'Keefe, was designed by, uh, Gavin O'Keefe.